In August 2019, I will be running a table tennis training camp here in Cambridge. It’s going to be very focused towards local league players. We’re going to work on the skills, technique and tactics needed to win extra points when paying local league matches. You can read full details about the training camp (and sign up) by clicking this link. I’ve attended lots of training camps myself in the past and have really enjoyed them, so wanted to organise one myself. But I want to do something a little different. Instead of a big camp, with lots of participants and mega-star names, my training camp is going to be small (max 8 participants per day), with one coach (me!) and the content will be very relevant to winning more points and matches at local league level. So my training camp is all about the content and the outcome – trying to get that 2 or 3 point improvement which can increase you win percentage and help you progress to a higher division. 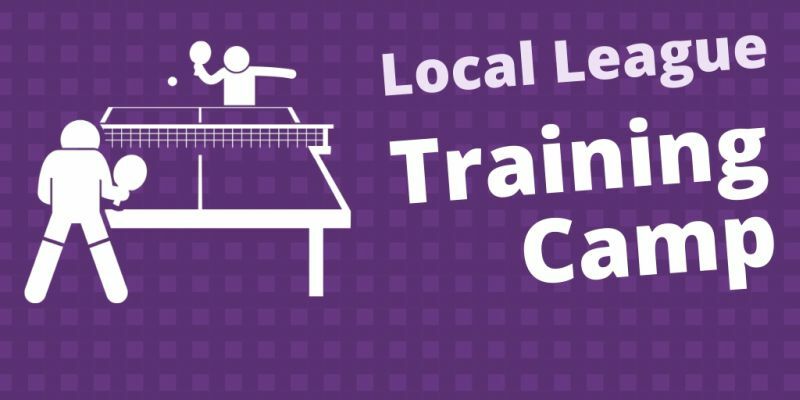 The training camp is suitable for players who are already playing local league table tennis (intermediate to advanced standard). And I am very happy to welcome players from any part of the UK / Europe / the world! But places are very limited, so if you definitely want to attend, please book sooner rather than later. More information and a booking form is available on the training camp page.